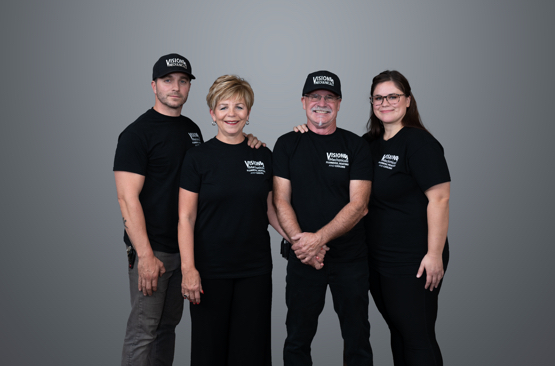 Brent, Jean, John and Brandi Watson make Vision Mechanical Ltd. a true family business. The temperatures are starting to rise, your home is heating up during the day as the high sun beats down, and you’re thinking about turning on that air conditioning. Before you do that, however, it never hurts to give the system a check. There’s also a chance that if and when you turn it on, it doesn’t actually work. That’s where Vision Mechanical Ltd. enters the picture. “During the cooling season last year a customer had us come to visit his home to troubleshoot his furnace that was no longer working,” Vision Mechanical technician James Ferguson says. “Inspection of his furnace determined that the board was fried due to water damage. The customer’s a-coil, or evaporator coil, was plugged due to improper air filtration. This also caused the drain to plug off and overflow onto the electrical components below. 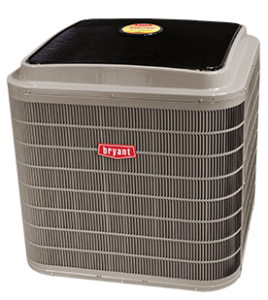 Vision Mechanical is a Bryant air conditioner dealer. 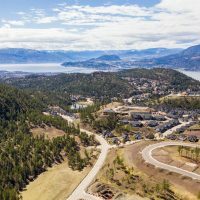 Vision Mechanical Ltd. is owned and operated by the Watson family and has been thriving in Kelowna and its surrounding area, including Big White, for more than 30 years. John and Jean Watson started the company 32 years ago, and they are now in the process of handing it over to son Brent and daughter Brandi. In other words, the family tradition will continue in more ways than one. 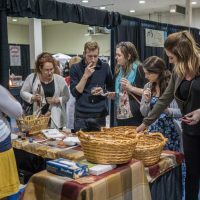 The family runs the business, and its long-time customers feel like they are part of it as well. Vision Mechanical can fix any problem, but you can help prevent them from conducting that repair that hits the wallet hard. They are able to conduct comprehensive yearly maintenance visits, and the chances of them finding something wrong are decreased if you are able to do a little bit of work yourself. The biggest thing you can do it keep the filters clean. “If you’re not properly maintaining the equipment it can be really hard on the components,” Ferguson says. “Like the outdoor condenser, if that’s not kept clean and the coil is dirty, it can be just overworked, which can put a lot of stress on the components in the condenser and cause things to break down. Vision Mechanical has more than 20 employees working out of its relatively new space on Enterprise Way, and it has more than a dozen company vehicles ready to serve. It also has 24-hour emergency service availability. So before you flip that switch over to A/C, be sure to visit visionplumbingandheating.com to learn everything you need to know or to get a free estimate.